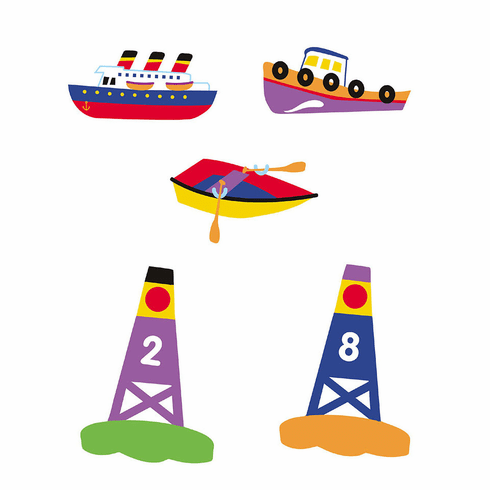 Olive Kids Boats & Buoys wallies wallpaper cutouts,. featuring ships, rowboats, tugboats and buoys. An assortment of 25 WALLIES wallpaper cutouts. Largest measures 6" x 3".